Being longer in business with gold and as genuine gold buyer since years with gold mines in Africa, we are skilled in recognizing real and fraudulent gold trade deals. In general, if you are not in business of gold, but some related business such as investment company, you may be interested to find out of this or that gold offer arriving by Internet is genuine or yet another scam offer. Chances are that you have got fraudulent offer that arrived by Internet. Ask yourself, if you are not in business of gold, why would anyone contact exactly you to purchase large amount of gold? Is that logical? What about small scale mining companies? Who would have large stock of gold? This is more question of self interrogation or lack of self interrogation. We are discussing here how greed may drive you into believing to make quick income on a simple and "secure" deal. As an owner of a gold refinery and company that invests in gold and with active gold mining projects in several countries, I can tell you, I do have some clues in gold trade business. Meeting people in Africa also gave me a lot of experience of somewhat strange mentality due to lack of ethics at many of those that call themselves "gold dealers". Dear friend, let me tell you the truth, and if you have common sense or logic, you will find out more truth after reading this article about gold trade deals found on Internet. Did you get that fact? 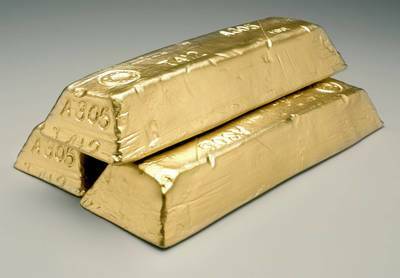 Only very large companies could provide large quantities such as 100 kilograms of gold. Large companies are in business. They are in business. They are not developing it, they are already in business. Why would any company which has produced 100 kilograms of gold seek to sell that gold exactly to you far away from their home in Africa? Are you in business of gold? If no, seek no further, the real cannot be true. No person with common sense is going to approach a complete stranger to sell their 100 kilogram of gold. Only fraudulent people will send you such offers, if you are not in business of gold. Large companies do not need to develop business. They have developed it. They have one, two, three or more long-term partners which purchase their gold for best prices. Even if their partners would fail for some reason, there is no common sense in approaching people who are not already in business with gold. It is matter of common sense and realizing if there is any logic behind such gold trade deal offers. Small companies sell their gold as quickly as they produce it. They need money to pay small scale miners, their families, food, expenses, debts. They sell their gold in Africa virtually on the same gold mining fields, or in the nearby village or city. Nobody has time after production to "seek a foreign buyer". You may dwell on the thought that either small or big company is keeping stock of gold, not sold yet, just waiting for you to come and pay for it. Whoever is collecting that much gold "in stock" without selling it must be at least double rich of that gold amount or value. Do you think a wealthy individual having a gold mine really need you to come and buy its gold? Your greed may be so strong, that you forget the common sense. Even with 100 small miners they cannot manage to effectively get more than 1-3 kilograms of gold per month. Even when miners have 20 grams in the hand, even 3 grams only, they would go to dealer and sell the gold immediately on the place. Why do they need you exactly? Dealers in remote locations or near the gold mine may pay from 90% to 95% of gold price, anywhere in Africa. Dealers in cities may pay 95% and over 100% of gold price for the gold. Cheap gold in large quantities is due to this fact hard to find. Dealers in Dar es Salaam, Tanzania pay from 99% to 105% and 110% gold price. Dealers in Accra, Ghana, pay easily 95% of gold price in cash, no questions asked, and I mean that, no ID or questions asked! Every mining business is connected to expenses, they need money and sell gold fast, GOLD IS ALMOST NEVER IN STOCK and will not be kept for you to come. Who is in business of gold, already knows how to sell it. The only reason you may be approached is fraudulent gold trade offer. The real gold which you might see sometimes on pictures or in reality, usually belongs to third parties, and is often used to demonstrate real gold, while after that, gold is being switched and you end up with cheap bars of brass. If you rely on "assay report" you are doing it wrong way, as there is no gold dealer in Tanzania, Ghana or Mali that will ever rely on THIRD PARTY's assay report. Gold dealers and true local buyers are going to assay gold themselves on the place at the moment of the purchase, each single time. Every gold dealer in Africa will assay gold himself and if owner agrees, the deal is paid in cash on place. Even though laws say that gold sales are allowed only to licensed miners, brokers and dealers virtually everyone can come and sell gold that means, virtually everyone may come to dealer, bring gold and get cash without ever showing ID, passport (which they almost never get anyway), further, ID cards and passports are easy to get in Africa by making simple statements about the origin, birth, etc. so even if you see real passport, it can be genuinely issued but still false identity. According to debt collection of our client from India, assays from University or various laboratories might be fake as they often have people inside working with fraudsters; but remember above? No serious dealer in Africa is ever using third party assays. And remember most important part? Gold is easily sold in Africa, dealers pay almost anywhere at least 95% of the gold price up to 5-10% over gold price. Several banks in all around Tanzania are paying from 90% to 95% gold price for gold directly in the bank. There are other banks in Tanzania paying for gold within the bank. In gold purchasing business in Africa: documentation means really nothing, gold and cash are everything. You cannot assume that your European or American sense of good business is applicable to Africa. Good business means not "good documentation". As a matter of fact, the more documentation you get offered, the less is such a deal real. They don't really show documentation. A dirty small scale miner brings 100 grams of gold to gold buyer, and sells it for cash. That is the true reality. I have not met anyone in Africa that asked for any documentation to purchase gold. And yes, by law, it was required. But buyers are explicitly not asking for it. They are asking for gold. They bring bags of money and pay for gold. They would pay up to 100 kg per day and no questions asked. We have sold gold produced in our gold mine. I did not meet any dealer asking for documentation, not even an ID, they said, we don't want to know your name to my licensed broker and purchased our gold. That is how business is done. I guess they don't keep accounting in reality. For the probability of 99% your offer from Africa, arriving by Internet is FRAUD AND FALSE and you would have faced high expenses and would be facing corrupt police chasing you out of the country for reason of non-licensed buying of gold. Or you would have faced otherwise immense troubles and loss of money.